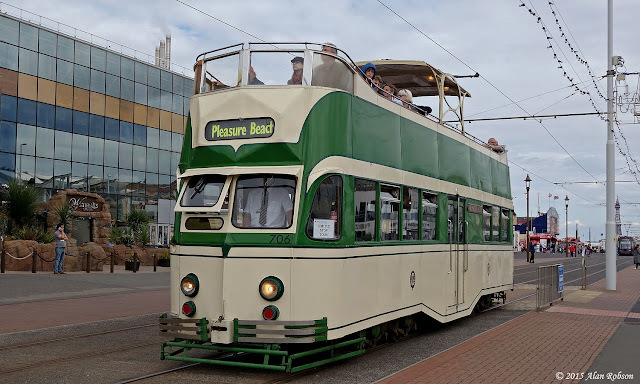 August Bank Holiday Monday saw the gold timetable in use again, with Box 40, Twin Set 272+T2, Brush Car 631, Railcoach 680, 706 Princess Alice and Balloon 717 operating on the Heritage Tour service. 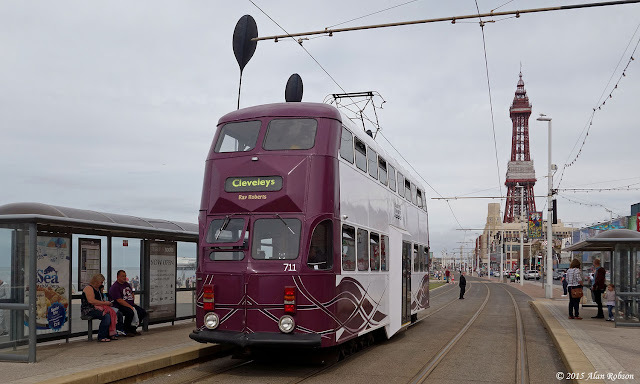 Fat door Balloon 711 was used in normal passenger service again on specials. 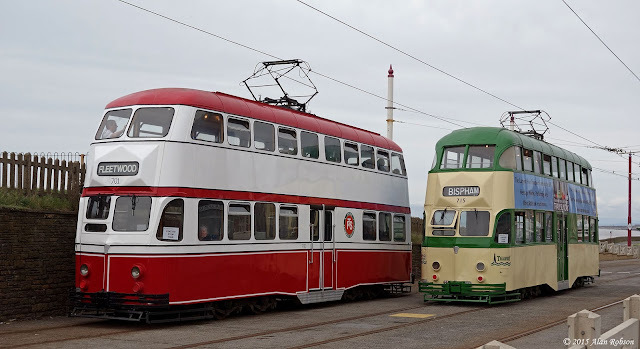 The second day of the August Bank Holiday weekend saw the gold heritage timetable in use, with Bolton 66, Twin Set 272+T2, Boat 600, Centenary 642, Railcoach 680 and Balloons 701 & 715 operating. 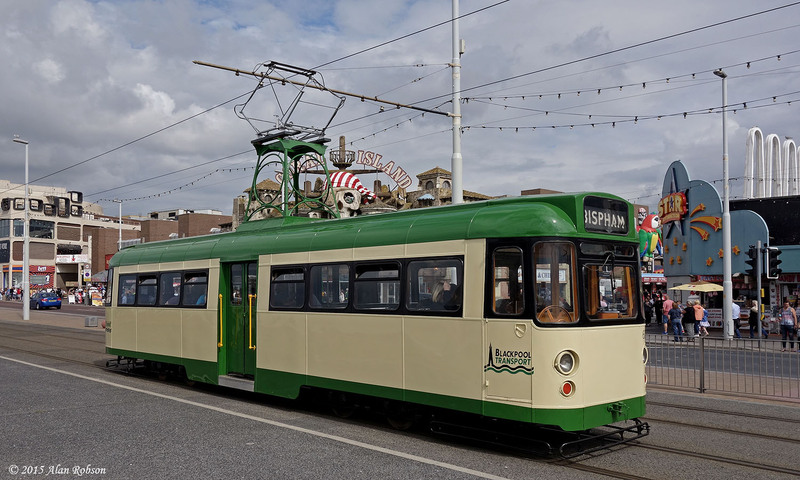 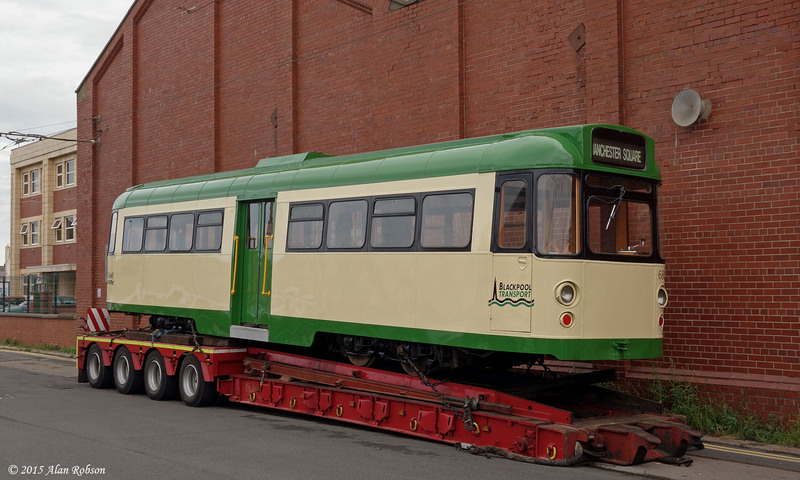 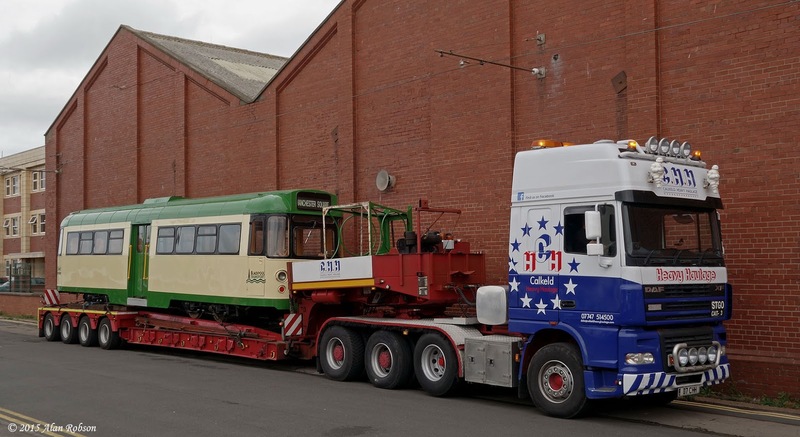 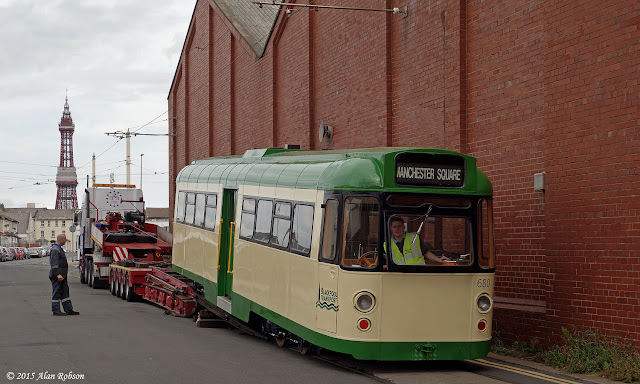 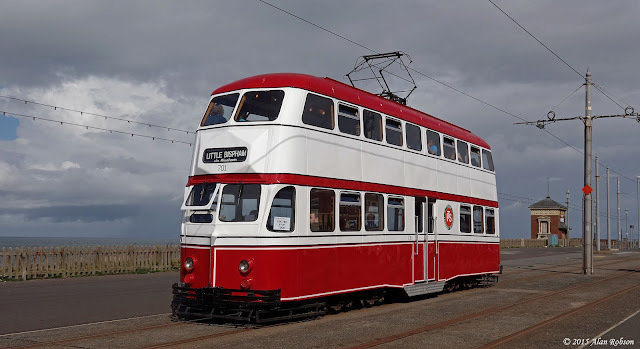 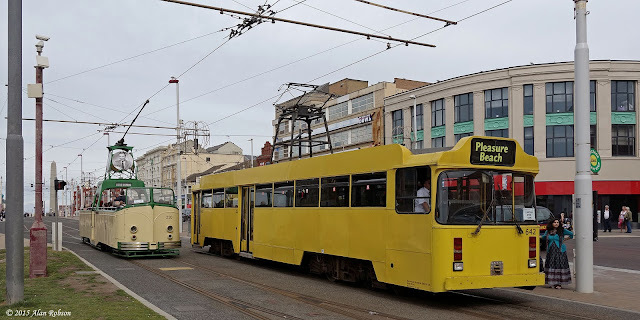 Railcoach 680 was making its debut in Heritage Tour service at Blackpool, having only arrived on loan from the Heaton Park Tramway just over a week ago on 21st August. 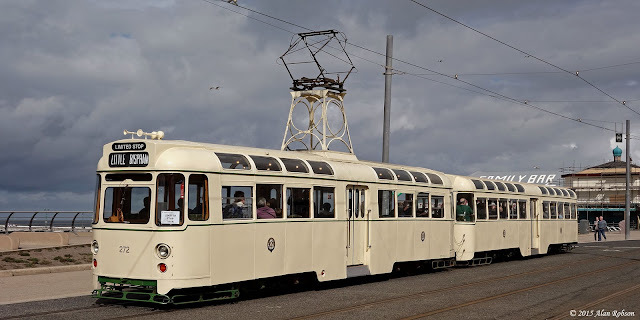 Centenary 642 was an extra untimetabled heritage car, in use due to spare crew being available. 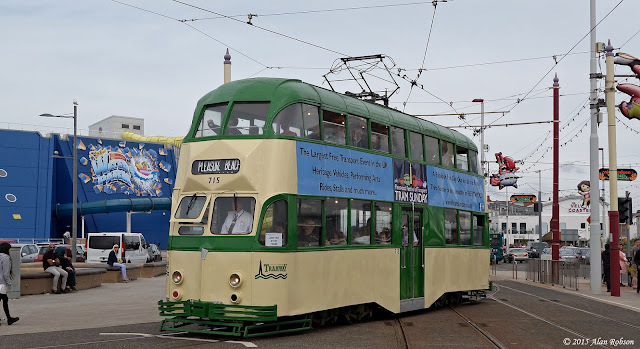 Fat door Balloon 711 was in use on specials again, and Boat 230 had to substitute for Boat 600 during the day, the latter was suffering from problems with its trolley pole. 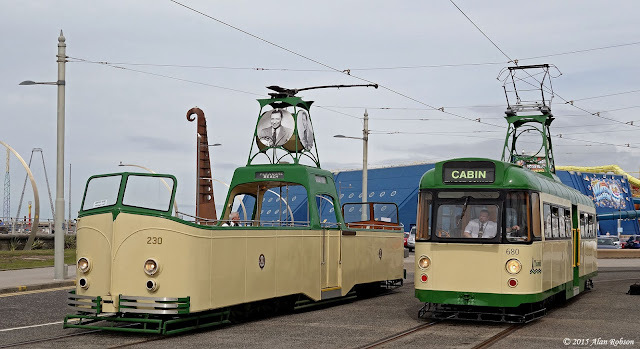 The first day of the August Bank Holiday weekend saw the green heritage timetable in use, with Boats 227 and 230, Twin Set 272+T2 and Balloon 701 operating the service. Fat door Balloons 700 and 711 were also noted out and about, working on specials. 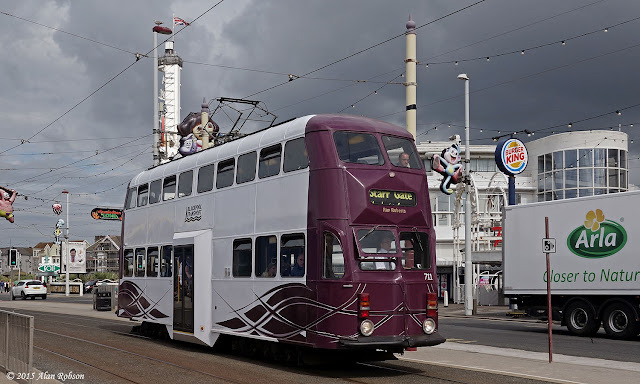 Railcoach 680 arrived in Blackpool on loan from the Heaton Park Tramway on 21st August. 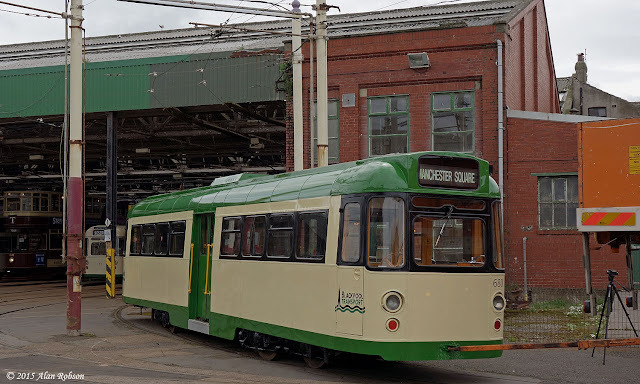 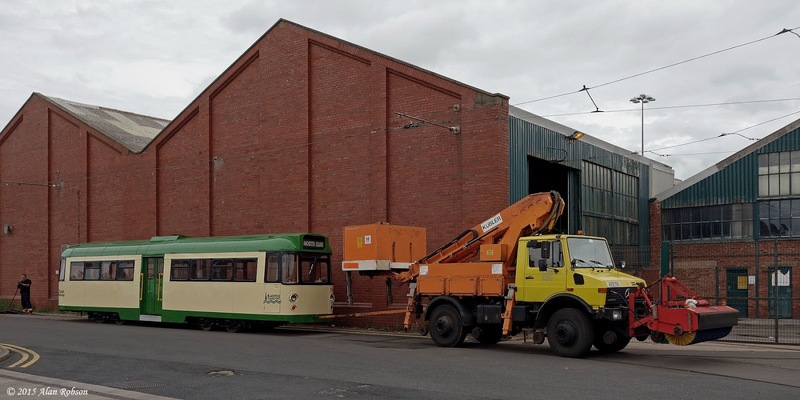 680 has been repainted back into the 1990s green and cream fleet livery by the specialist contract company Heritage Painting in the Middleton Road tram depot at Heaton Park, the work having only just been completed two days prior to the move! 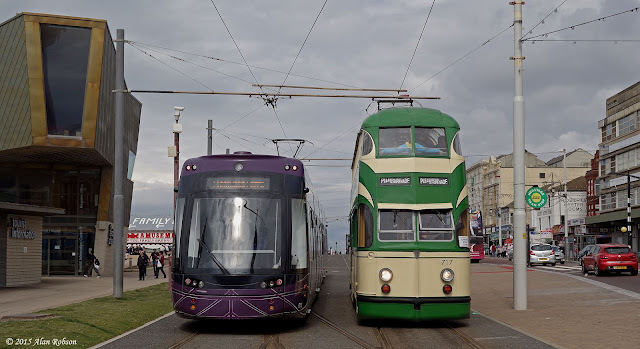 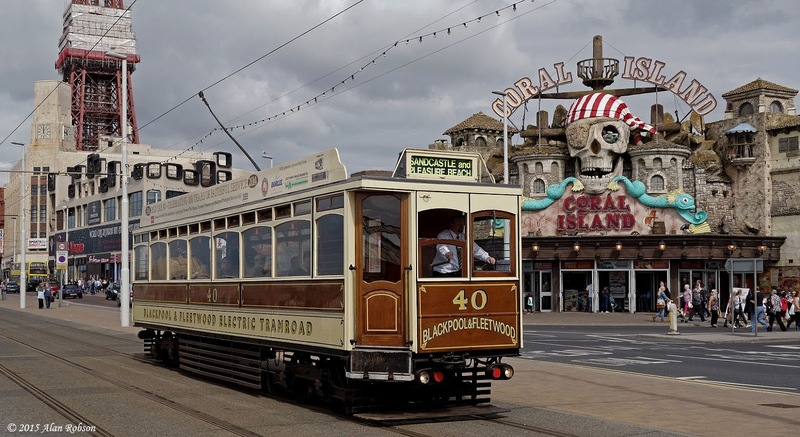 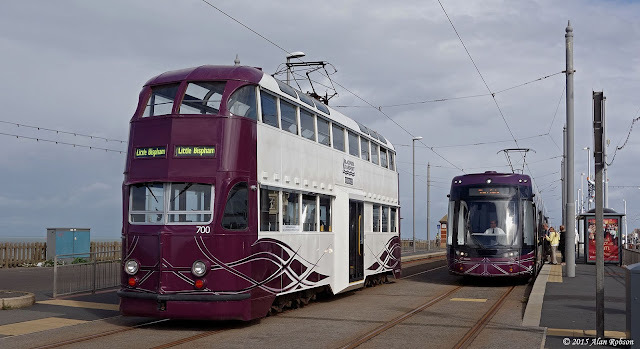 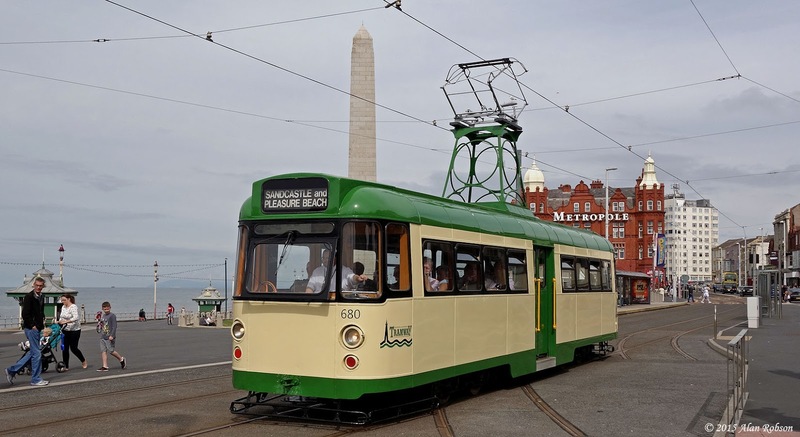 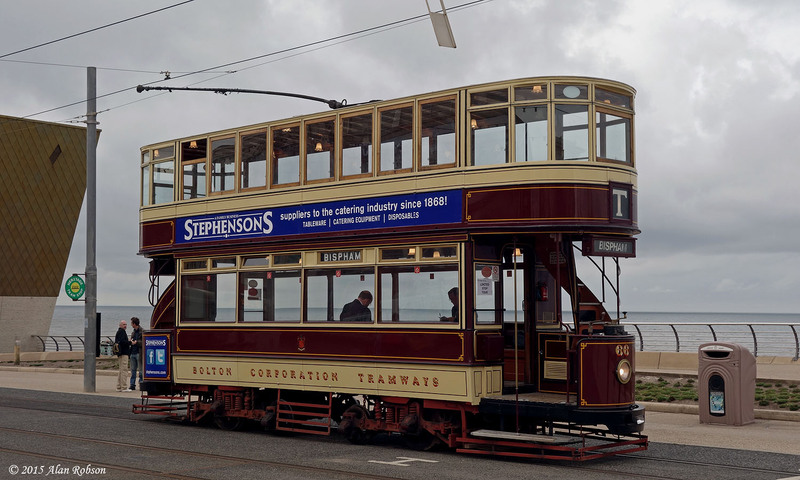 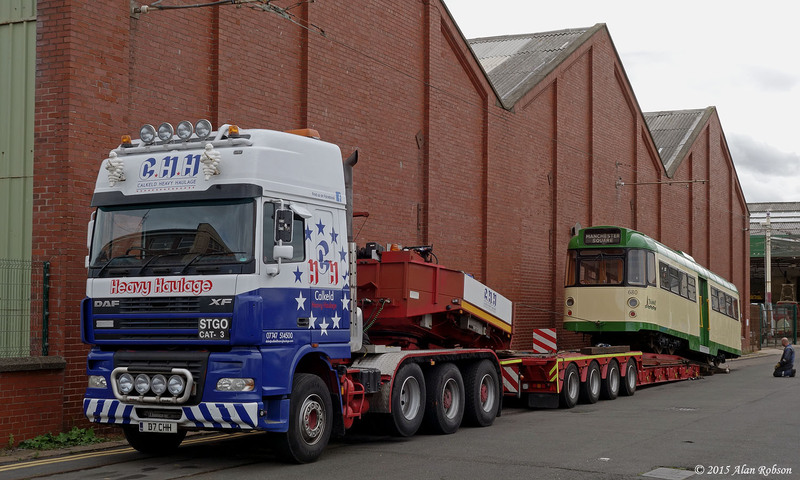 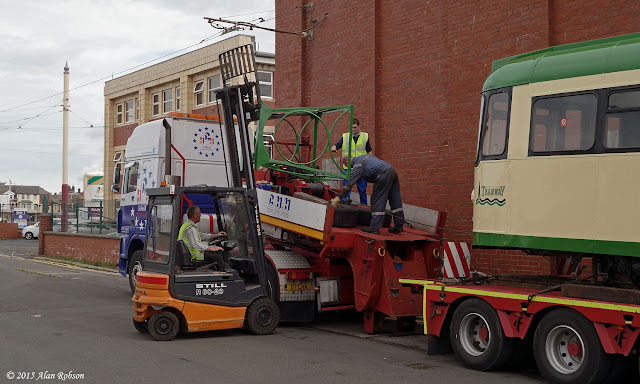 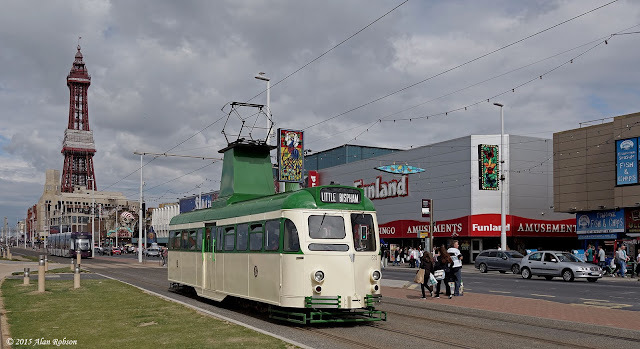 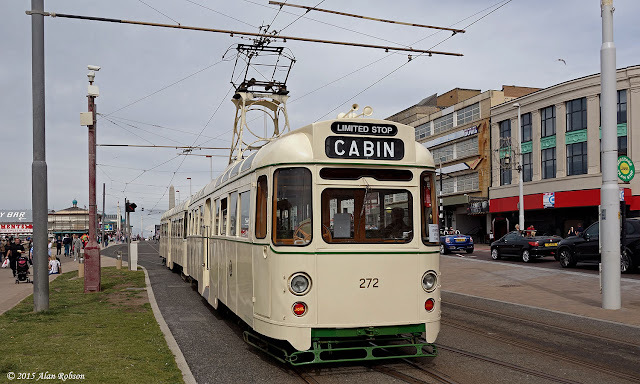 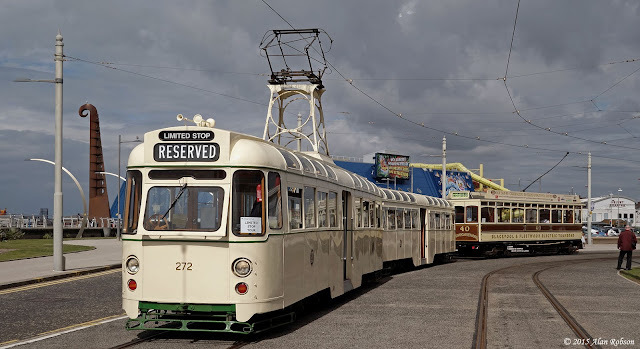 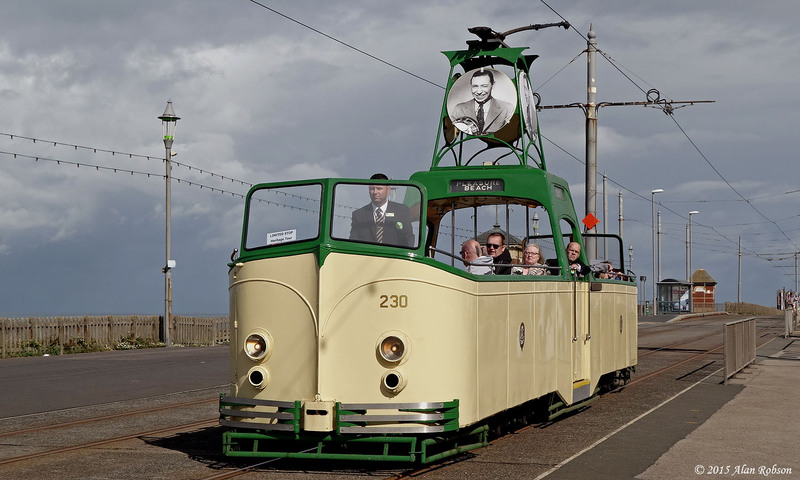 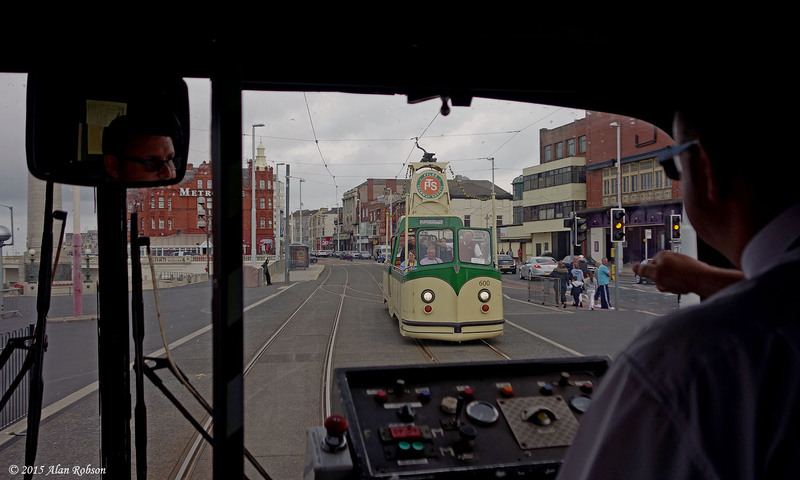 680 has returned in time to take part in the 130th anniversary celebrations of the Blackpool Tramway in September. The ex Blackpool Corporation Leyland PD3 No 516 (HFR 516E) belonging to Catch22Bus Ltd has made its first run in stage carriage service, making its passenger carrying debut on Service 21 on 19th August. 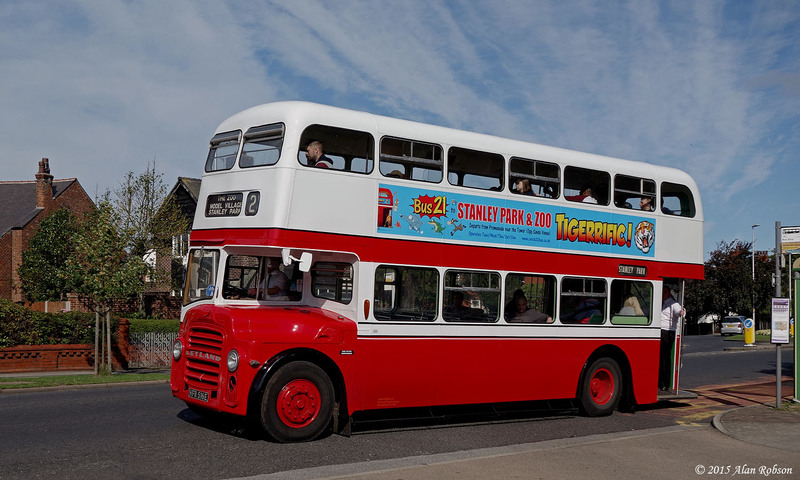 PD3 516 is also carrying colourful new "Tigerrific" themed adverts for the heritage bus service that runs to Stanley Park and the Zoo. 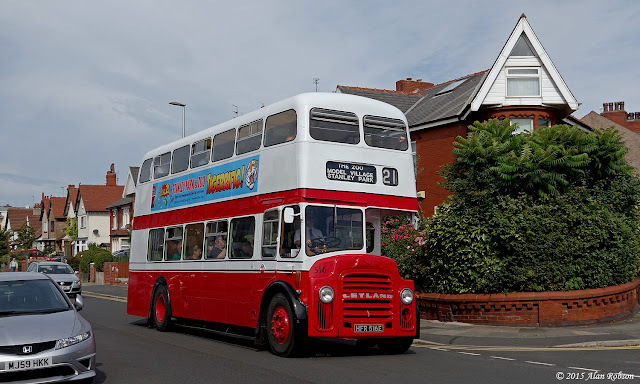 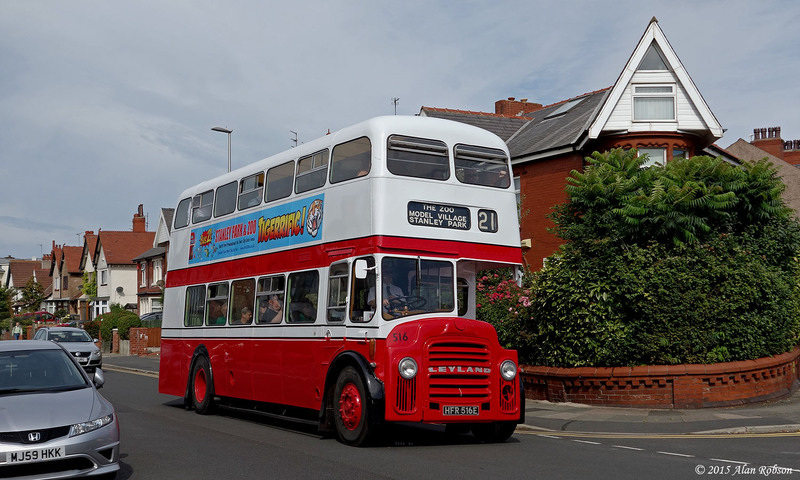 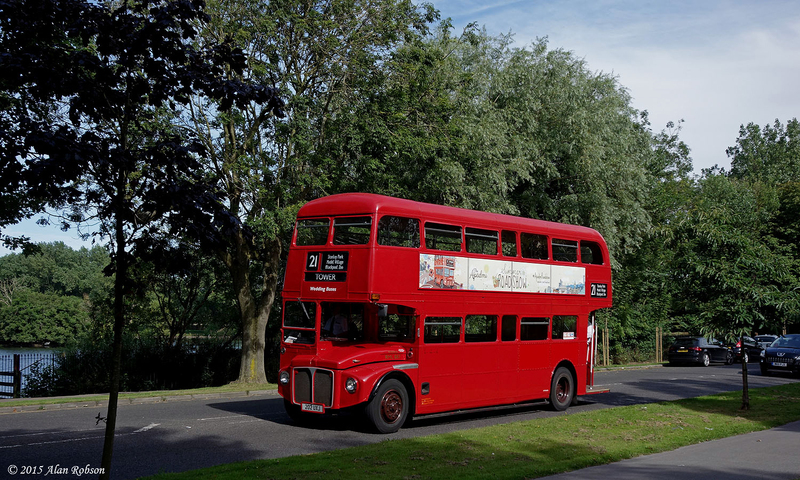 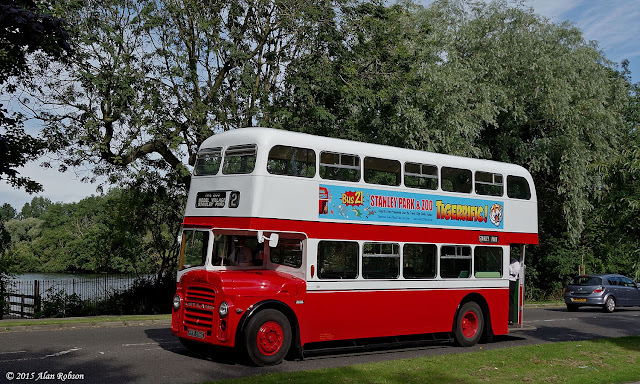 Routemaster RML 887 was in use on Catch22Bus Ltd's service 21 between Blackpool Tower and the Zoo on 18th August. 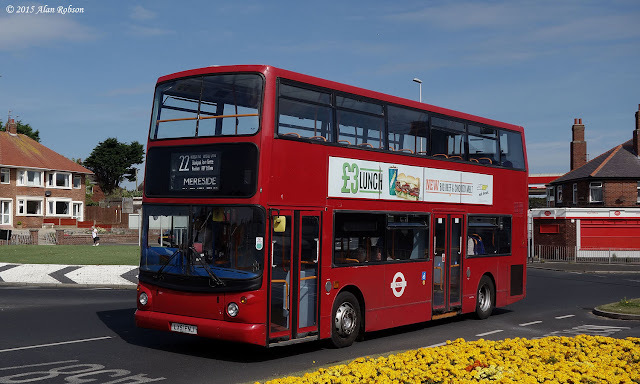 RML 887 is carrying new side adverts for the Apadmi Summer Roadshow. Former Stagecoach London Dennis Trident 17506 (LX51 FNJ) entered passenger service this week with Catch22Bus Ltd. 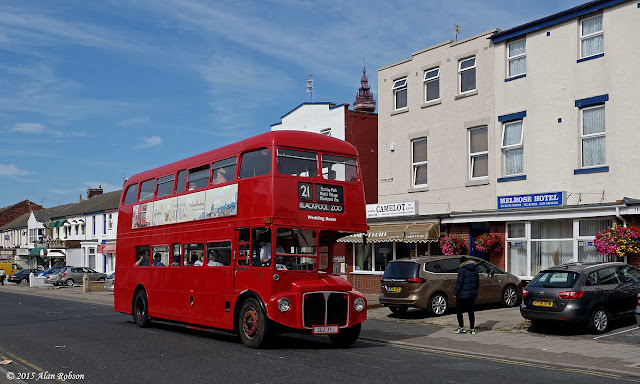 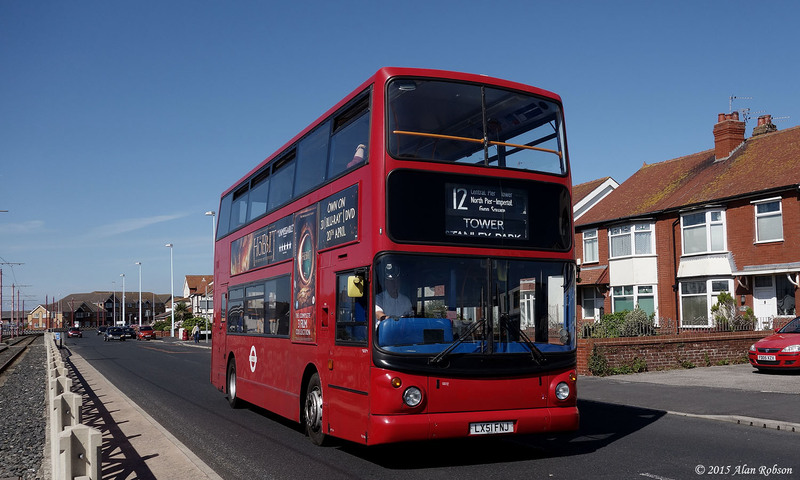 The ex London Trident has already seen use on the Seafront 12 service and route 22 between Cleveleys and Mereside. The current plans are for the vehicle to keep its red London fleet livery in order to fulfill some private hire contracts that require this colour scheme. 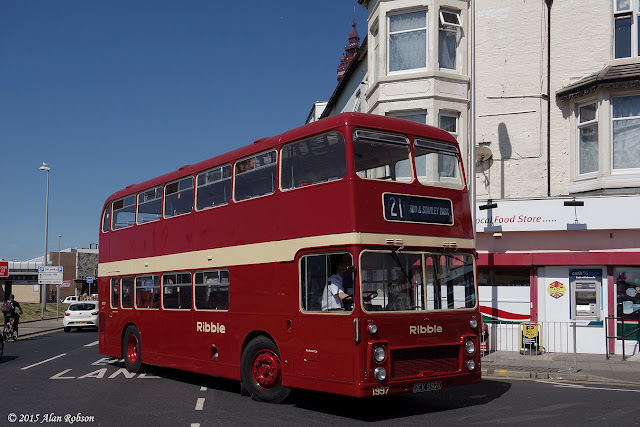 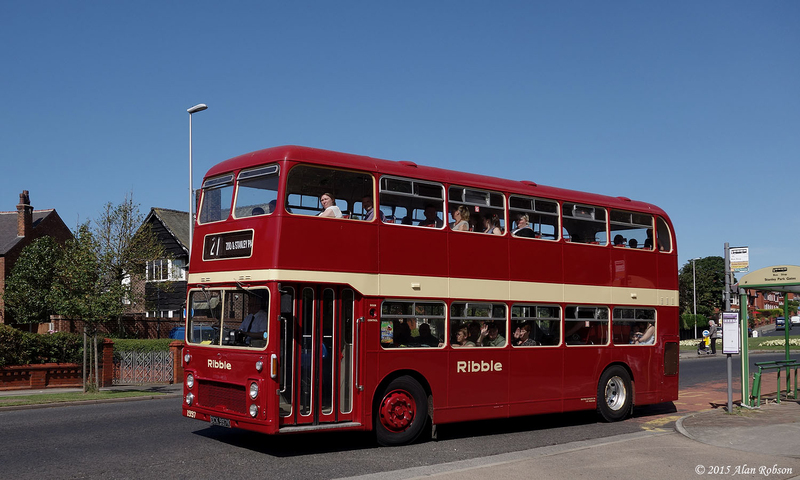 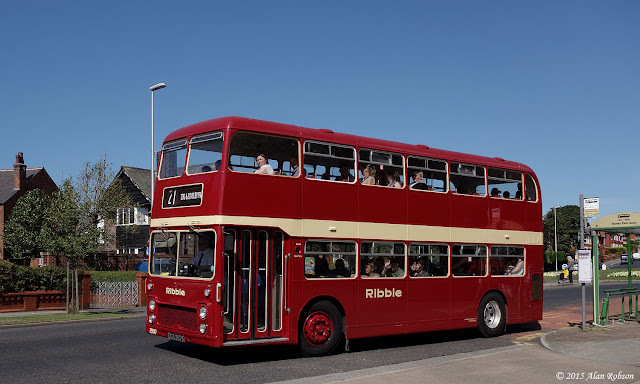 Former Ribble Bristol VRT 1997 (OCK 997K) has been in use during the last week on Catch22Bus's service 21 between the Tower and Blackpool Zoo. 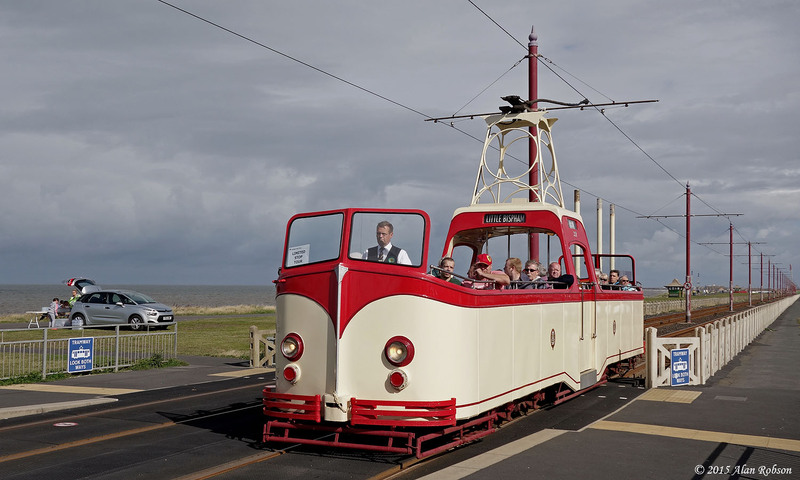 This service seems to have become very popular with visitors to the resort since it commenced operation in June.